Half Past October: Evian Facial Spray | Use #EvianSpray To Boost Your Workout Experience! 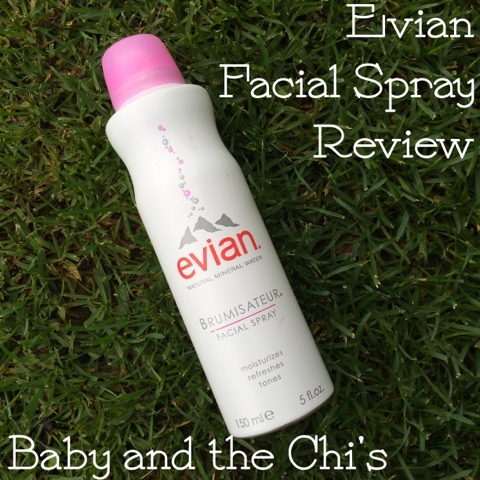 Evian Facial Spray | Use #EvianSpray To Boost Your Workout Experience! I recently received a bottle of Evian Facial Spray to try, and share the results with you all. Below you will find a product description provided by the company, as well as my experience with the product and my honest opinion of it. You may be thinking to yourself, that a spray can of water may have no use to you. The truth is, Evian was thinking of nearly everyone when they thought of these. I personally use it to set my makeup and refresh my skin without upsetting my face or drenching my clothing during the day. Something I find this spray to be especially useful for is cooling off and refreshing myself during a workout. It's easy to keep going when a quick spray of cool Evian water can cool you down and make you want to keep going. The gentle mist from the Evian Facial Spray is also great for rinsing away sweat that may cause breakouts. The spray can also be used to rinse away drying chlorine after swimming or to tame flyaways after working out or running. The possibilities are endless! You can find out more on Evian's website, or on their Facebook page.